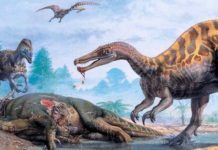 The Triassic Period ran from about 250 million to 200 million years ago and it started with much of Earth’s life in disarray. 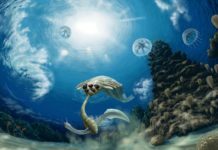 The Permian-Triassic Extinction Event had devastated 90% of the planet’s marine species and about 70% of its land species. However, the planet wasn’t a complete wasteland. The remaining species would go on to diversify and fill the newly opened ecological niches. This gave rise to a variety of different animals which include everything from the first dinosaurs to small mammals. Pangea was a giant supercontinent at the beginning of this period but tectonic forces started driving it apart. Eventually, by the end of this period, it would split into two distinct supercontinents: the supercontinent Laurasia towards the north and the supercontinent Gondwana towards the south. During this time, the climate was dry and hot and there probably was little to no glaciation towards either of the two poles. Scientists believe that the polar regions were not cold at all but were temperate and moist – which allowed animals such as reptiles to not only live there but thrive. As far as life is concerned during this time, there were three distinct categories to consider. There were the survivors of the last extinction event who would continue to evolve during this period; there were new radiations of life that briefly appeared but suddenly flickered out of existence and there were those groups of life which not only thrived but excelled – and these groups would leave this period and go on to dominate the rest of the era. Terrestrial flora included ferns, horsetails, glossopterids, ginkgophyta, lycophytes, and cycadophytes. Towards the southern hemisphere, a seed fern named Glossopteris was especially successful and in the northern hemisphere, Bennettitales, conifers, and ferns really took off. In the ocean, coral continued to evolve and eventually became like modern corals – forming decent-sized coral reefs on the ocean floor. Marine reptiles, which included nothosaurs, pachypleurosaurs and Sauropterygia, thrived. Ichthyosaurs were especially successful and would eventually develop to gigantic size by the end of this period. 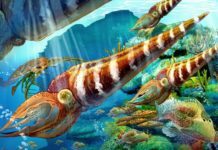 Fish and ammonites, which barely survived the last extinction event, would go on to flourish as well. There were also several groups of fauna or flora which either originated during the Triassic Period or gained dominance during it. Temnospondyls were one such group. They were one of the biggest groups of amphibians which first evolved during the Carboniferous but were still quite important. These included Branchiosauridae, Stereospondyli, Tupilakosaurus, Mastodonsaurus, Micropholis and Thabanchuia. Therapods was another successful group. Therapods began during the Triassic and did quite well during this period, but they didn’t evolve into truly large sizes until the Jurassic. Aetosaurs were another group that did well during this period. Unfortunately, they died out during the extinction event that ended this period. At the end of the Triassic Period, there was a mass extinction known as the Triassic-Jurassic Extinction Event. 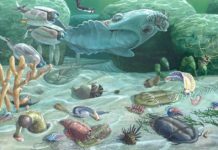 This mass extinction killed almost a quarter of all marine families and may have killed as many as half of all marine genera. Most marine reptiles went extinct – with the exception of plesiosaurs and ichthyosaurs – and conodonts did as well. While mollusks, brachiopods, and gastropods weren’t killed off entirely, their populations were deeply affected. While it didn’t devastate the terrestrial fauna like it did the marine fauna, that’s not to say that it didn’t have an impact. Several types of reptiles, synapsids, crurotarsans, labyrinthodont amphibians and many primitive dinosaurs were killed off. However, some of the ones who did adapt went on to dominate during the Jurassic Period. 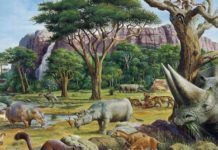 These mass extinctions at the end of the Triassic Period would open up many ecological niches. This not only allowed dinosaurs to expand but also to thrive. Thanks to these open ecological niches, dinosaurs grew larger, became more abundant and became more diverse. The would go on to dominate the next period and usher in the Age of Dinosaurs. However, while dinosaurs took advantage of open ecological niches, so would other animals and even plants. In fact, conifers and cycadeoids would go on to dominate the next period as well. Scientists aren’t sure what caused this late period extinction event but many believe that it had to do with the huge volcanic eruptions that coincided with the breakup of the supercontinent Pangaea. However, this view isn’t shared by everyone. 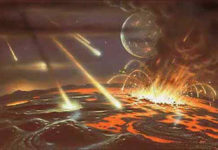 Other scientists believe this extinction coincided with an asteroid strike that created a crater that now contains Manicouagan Reservoir in Quebec, Canada.